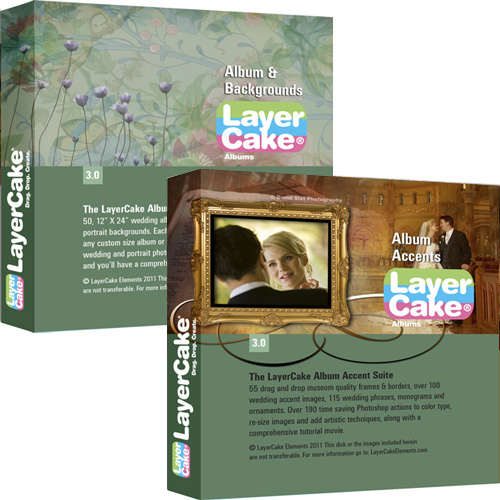 LayerCake Elements’ Albums & Backgrounds Bundle has everything the busy wedding and portrait photographer, editor, or graphic artist, or general Photoshop user, needs to craft jaw-dropping images. The Albums & Backgrounds Bundle has 100, high resolution digital backdrops ready to layer in behind your subject. Our digital backdrops range from Traditional to Eclectic in order to provide a comprehensive selection for the artist to choose from. To finish your new composition, and highlight the subject of your photo, there are 15 ready to use vignette overlays at your fingertips. To this regal collection of digital backdrops and vignettes, add the power of StudioMagic I’s Cutout & Light Brush tools to your editing toolbox, along with the Album Accents Suite to let your creativity soar. Watch your clients gaze at the photograph you present them with eyes wide-open in amazement. This is the collection which every wedding and portrait photographer, editor, or graphic artist, or general Photoshop user must have. Tags: Adobe, albums, Compositing, Creatives, Digital Backdrops, digital backgrounds, Graphic Design, Graphic Designers, how to photoshop, Photo, Photoshop Users, StudioMagic, wedding albums, wedding photos, weddings. Please NOTE: The Eclectic Backgrounds/backdrops are typically in Portrait orientation while the Traditional Backgrounds/backdrops are Landscape orientation. For the purposes of the slide show, all backgrounds are trimmed to the landscape dimensions of the slide presentation software.